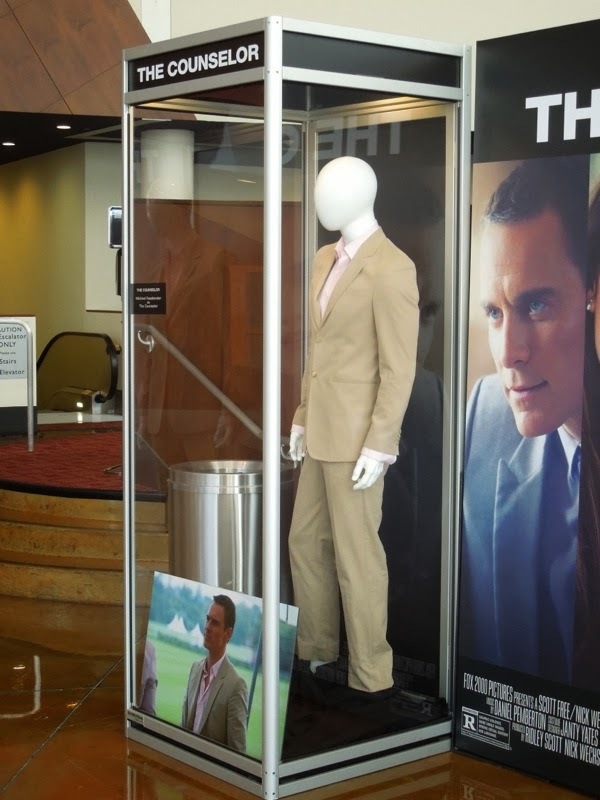 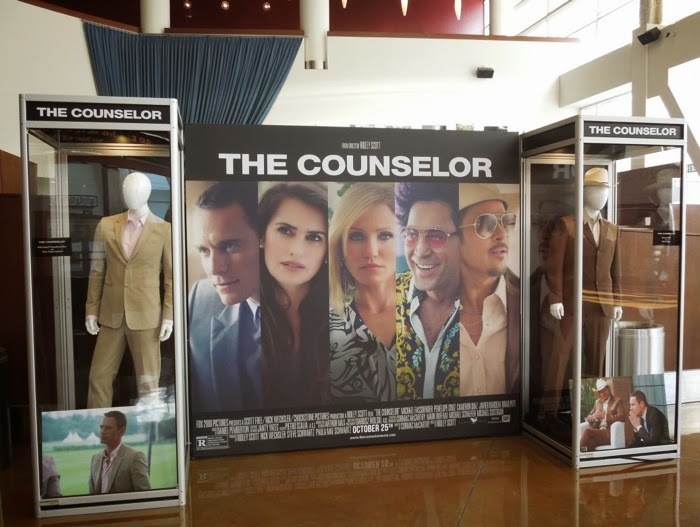 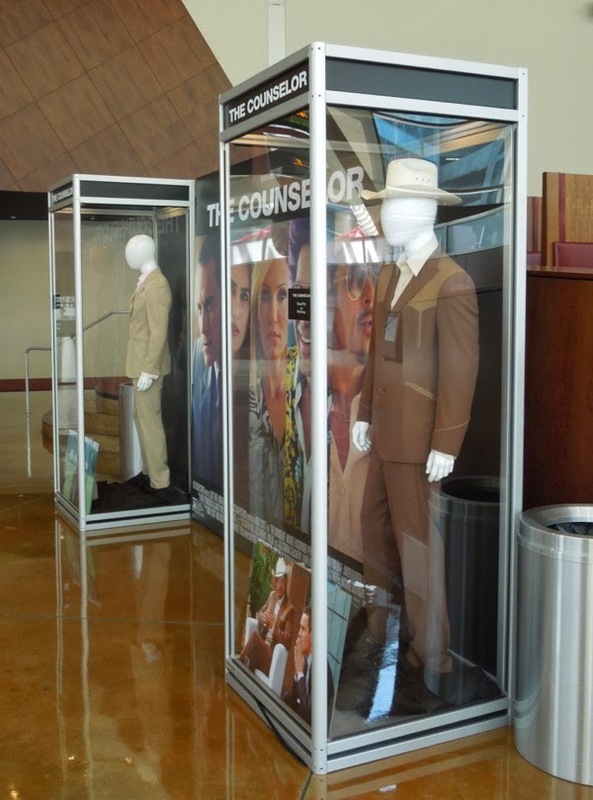 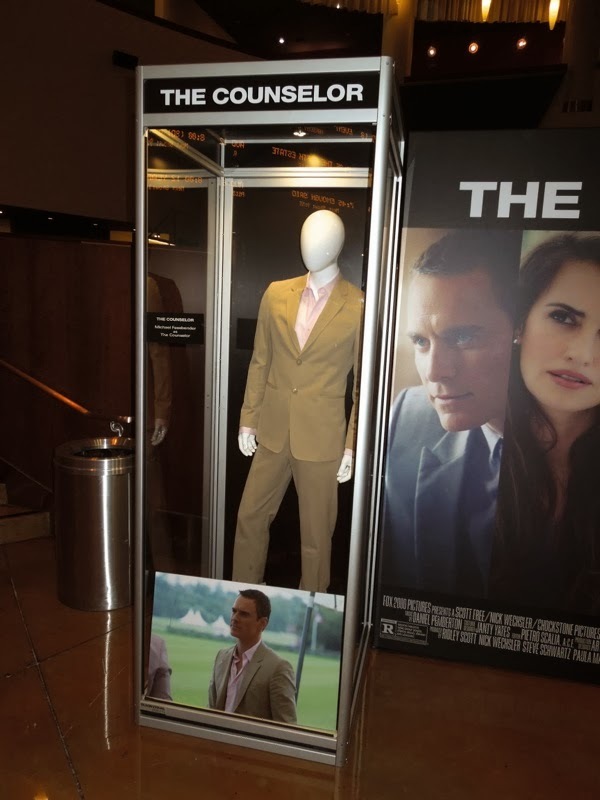 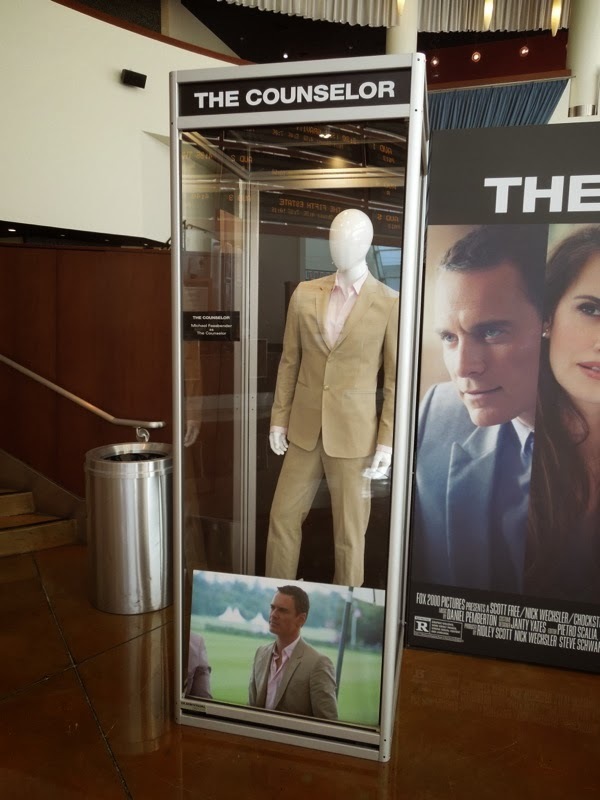 Here is more film fashion worn by Michael Fassbender and Brad Pitt in Ridley Scott's new crime thriller, The Counselor, these original outfits exhibited at ArcLight Hollywood cinema on October 23, 2013. 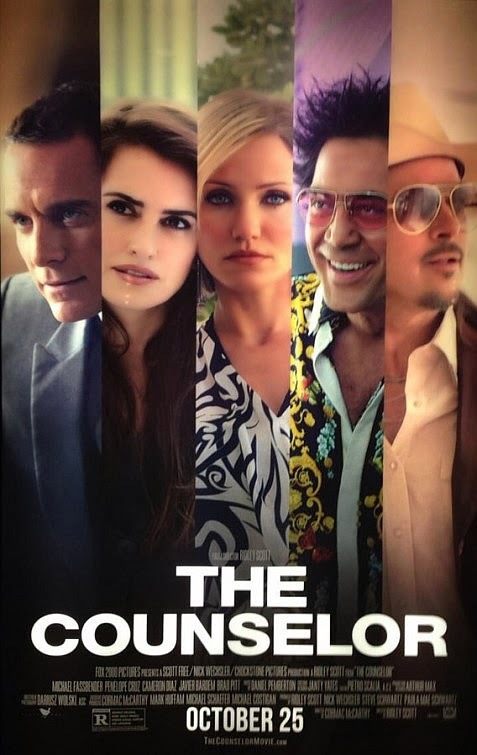 In Cormac McCarthy's first original film screenplay, Michael Fassbender plays a handsome lawyer (we never learn his name) whose arrogance and greed get him embroiled with the criminal underworld in the murky business of drug trafficking. 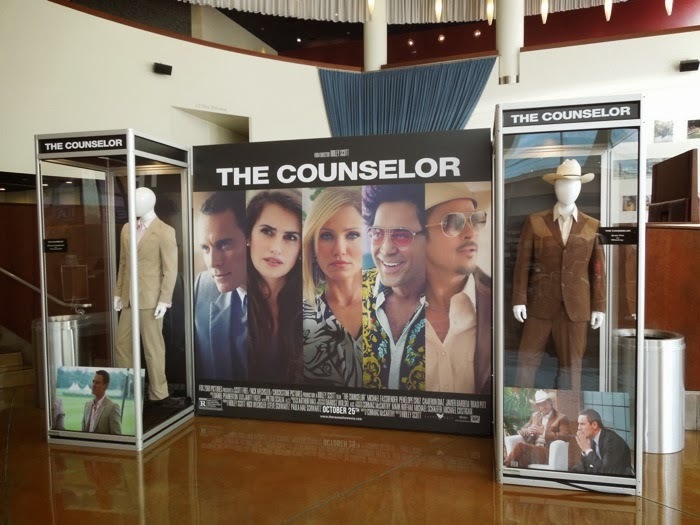 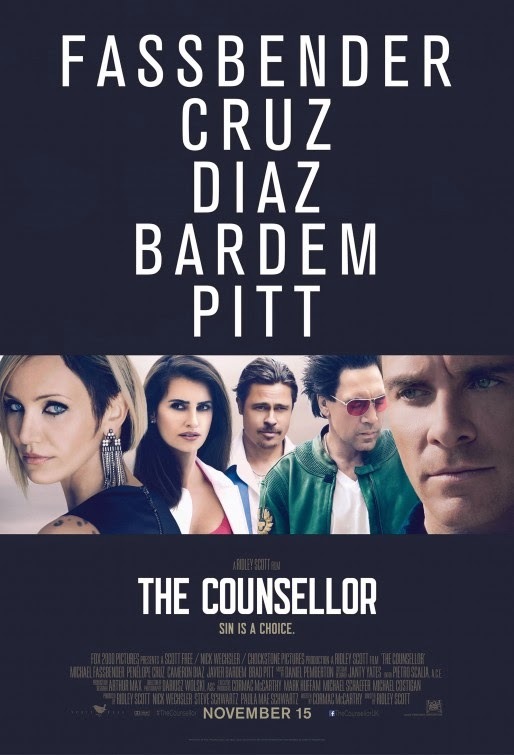 Janty Yates is Costume Designer on the 2013 movie and she collaborated with Giorgio Armani to create the sleek, tailored look of 'The Counselor' and dressed Michael Fassbender in stylish Emporio Armani suits, plus Armani Jeans attire for more casual moments. 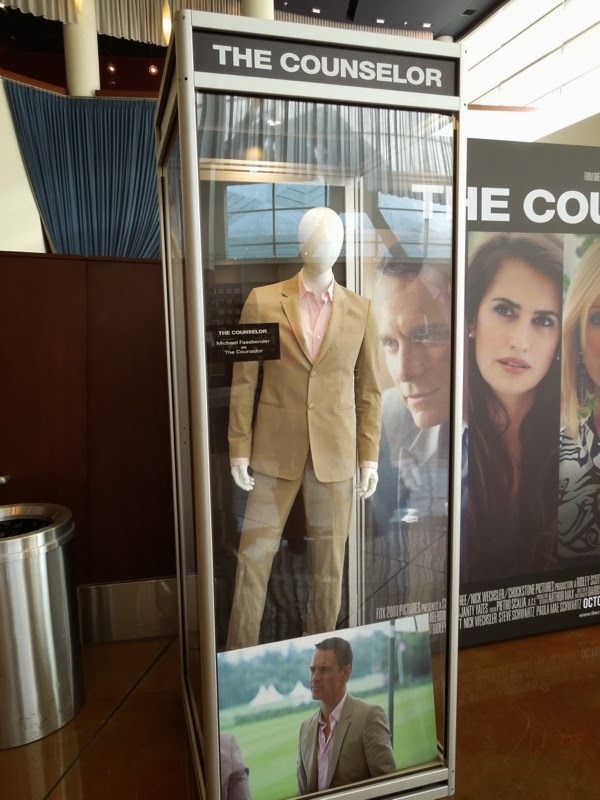 For Brad Pitt's roguish middleman 'Westray', the Costume Designer created the look of a tailored Southern gentleman. 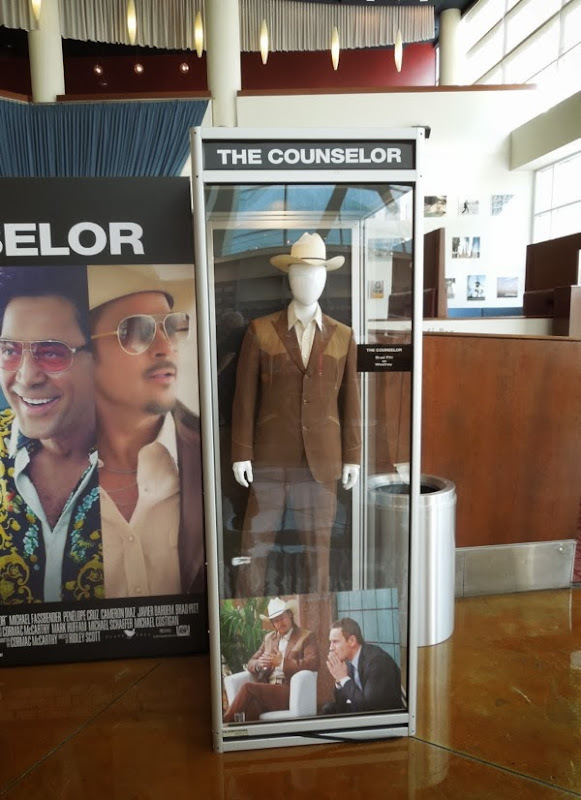 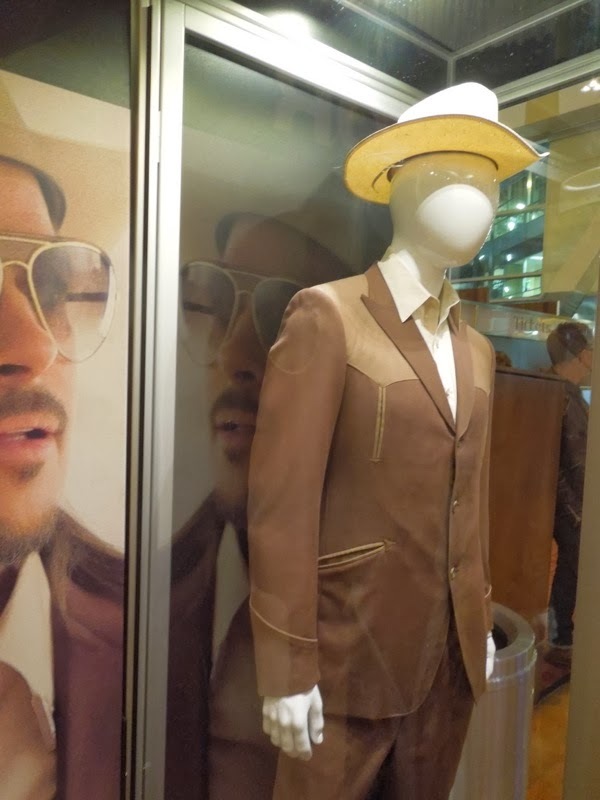 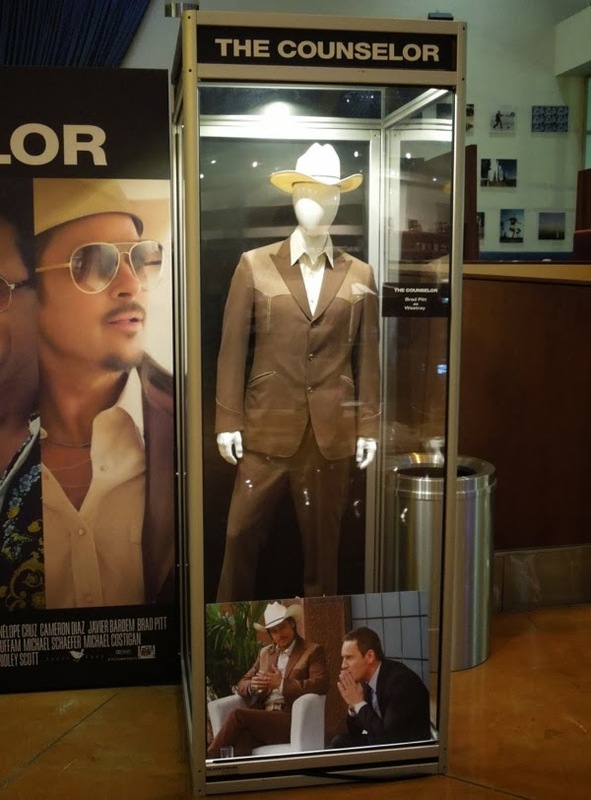 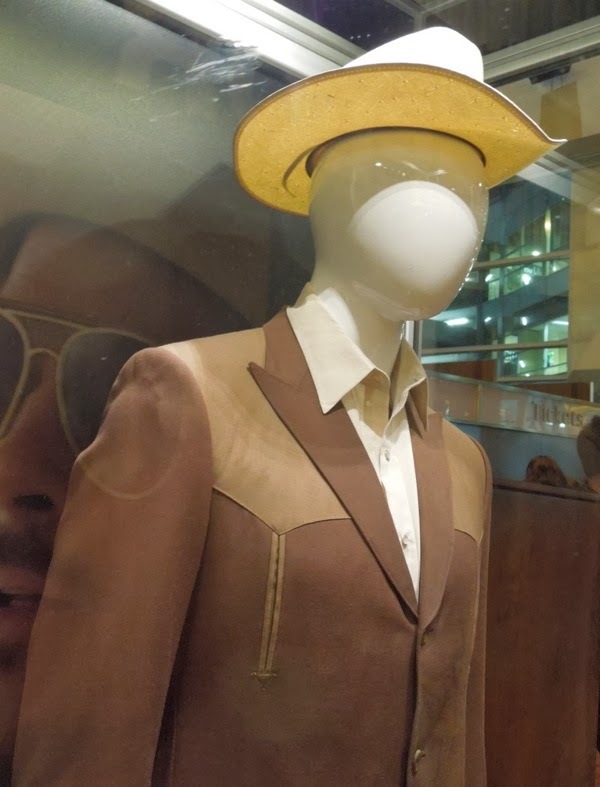 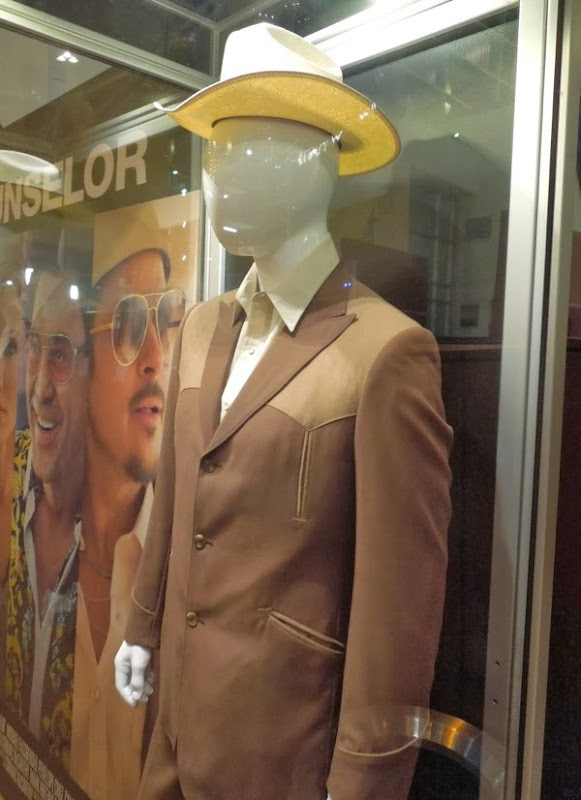 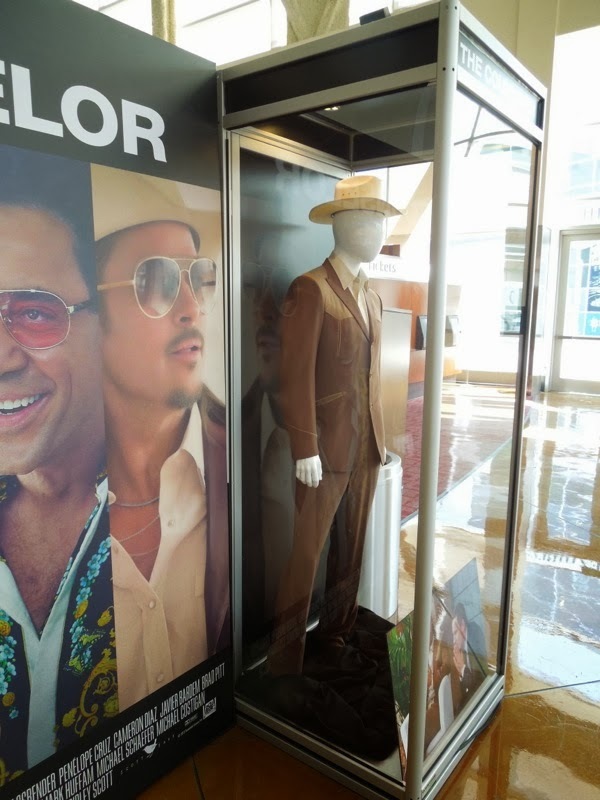 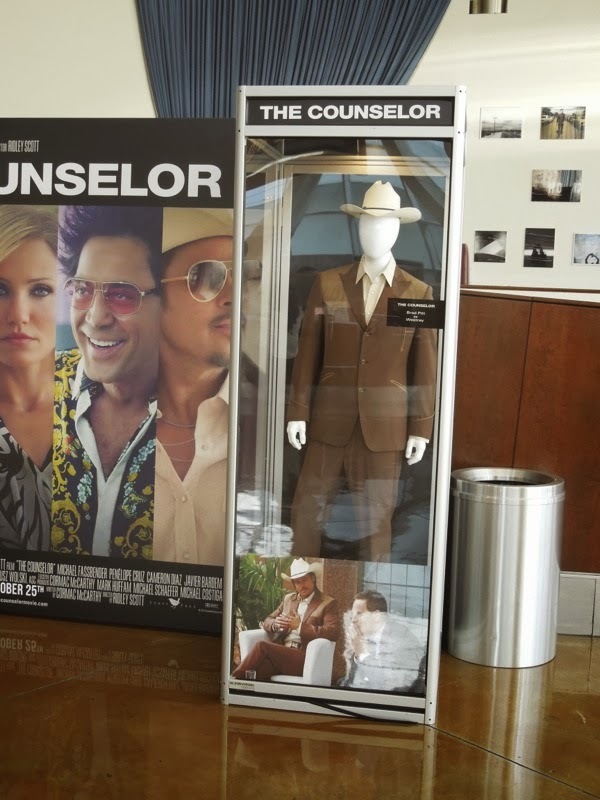 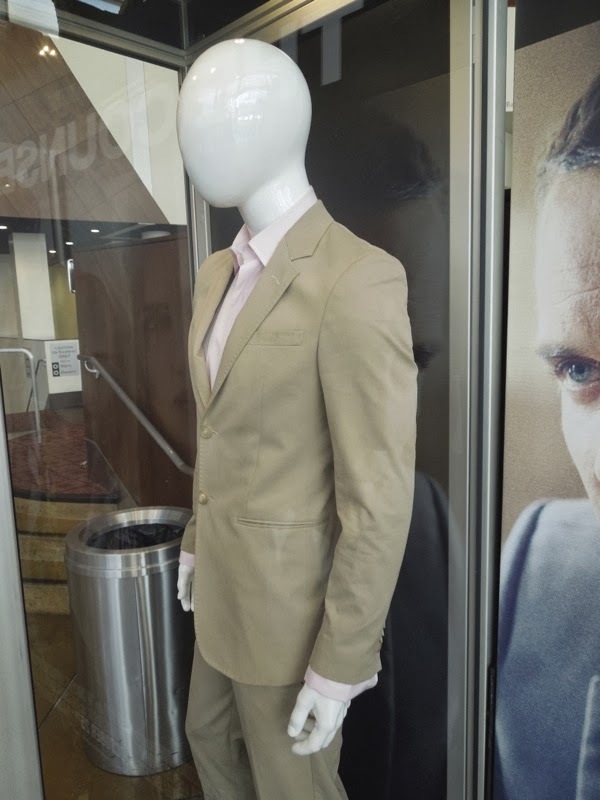 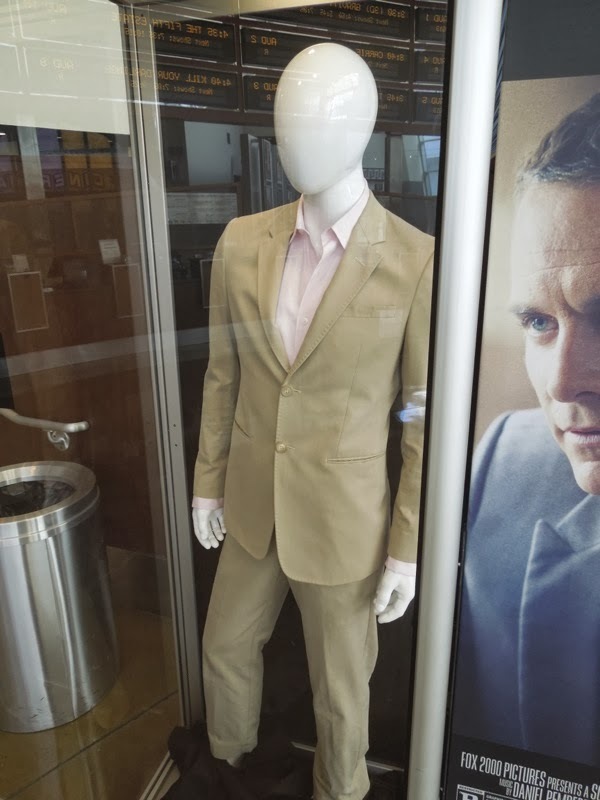 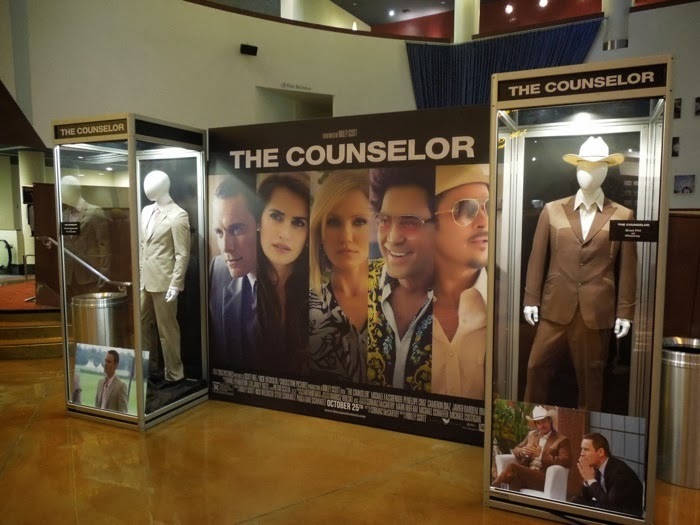 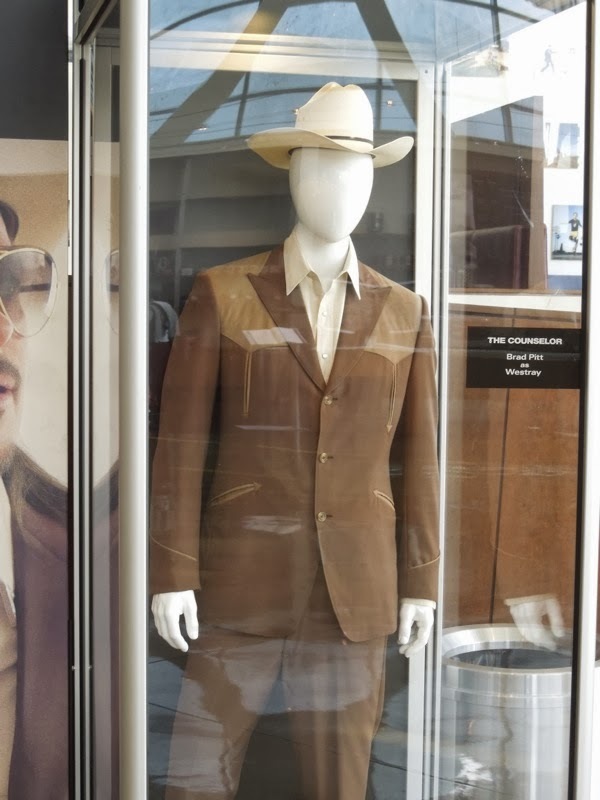 If you like this brown outfit complete with cowboy hat that the actor sports, be sure to check out a different grey suit worn by Brad Pitt in The Counselor on display at ArcLight Sherman Oaks cinema. 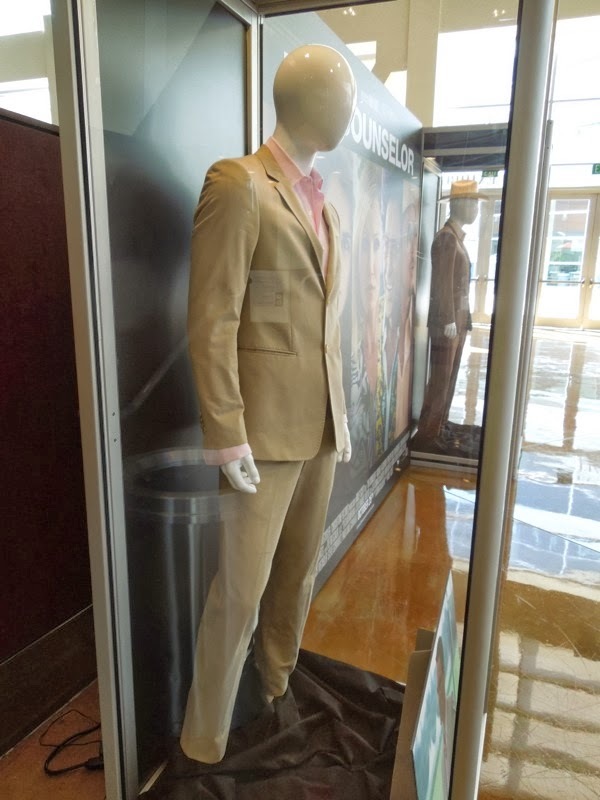 Be sure to stick around in the weeks to come as it looks like the movie costume and prop exhibits will start coming thick and fast as Hollywood gears up for award consideration season, and more and more new movies are released.